Wonderfully proportioned rooms with high ceilings and elaborate cornices, arched gothic windows flooded with light and elegant furnishings in soft muted tones all add to the ambience at our imposing Country House Hotel. Join us for a short break holiday or a unique special event package. Wander around our 32 acres of spectacularly beautiful woodland, landscaped gardens, lawn and lakes, perfect for Outdoor Team Building, Country Pursuits and Team Building Treasure Hunts. 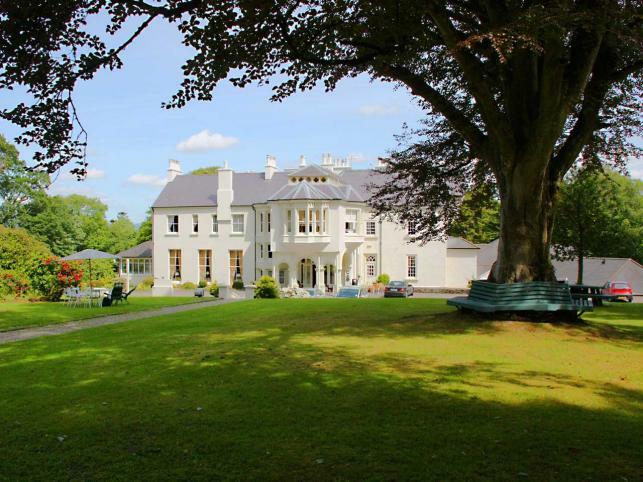 Beech Hill Country House Hotel, the elegant rural manor house where the very warmest Irish hospitality is waiting for you. You will find us in richly wooded countryside just 2-miles from the bustling city of Derry-Londonderry and next door to the Republic of Ireland’s spectacularly scenic County Donegal. Located just 2-miles outside the historic walls of Londonderry (Derry), the North of Ireland's second city,and next to the Republic of Ireland's rugged but beautiful County Donegal, our hotel is famed worldwide for its tranquil atmosphere, its luxurious accommodation and superb 4-star dining at the Ardmore Restaurant.